We all know that green screen background is being used in many Hollywood blockbuster action movies and TV shows nowadays. It’s very common that filmmakers shoot all the scenes inside a studio and then use a green screen software to remove the background and turn these footage into exciting videos you watch on YouTube or in the Cinemas. Wondering how exactly they do it? That’s what I come in today. TechSmith Camtasia is one of the most professional video editing programs for Windows and Mac on the market now. It has all necessary tools for video editing plus dozen of advanced features that filmmakers can use too. The new Camtasia 2018 came to life just few months ago that allows you to edit video in 60 frame per second with their flexible Media Library and free assets that YouTubers and Trainers may love to use. It’s available to download and try in 30 days as trial with a register account now. Read our detail review of Camtasia 2018 here! To remove green screen background in your video, you’ll only need to import your green screen footage, drag Remove Color effect to the timeline and you’re done. The program will completely remove all the green color from your video perfectly. See how it works in this tutorial video. No matter whether you are involved in film editing industry or just a YouTube video creator, VEGAS Pro 15 is the right tool to use for removing green screen background from your video. The program is simple to use even you are a novice. In VEGAS Pro 15, you’ll need to drag your green screen footage into the timeline, put it before the background video. Go to effects->Chroma key, drag it to the clip and you’re done. It’s as easy as a piece of cake. Like Camtasia, VEGAS Pro 15 allows you to try in 30 days without watermark for a video that is shorter than 2 minutes. Read our detail review of VEGAS Pro 15 here. Want to see how it works? Take a look at this useful video tutorial we found on YouTube. Filmora Video Editor is one of the most simple to use video editing programs for beginners. It has all tools you need for creating videos for YouTube channels. Filmora video editor is available on both Windows and Mac with tons of effects, filters and transitions. Compare to Camtasia and VEGAS Pro, Filmora Video Editor is not as powerful as these programs but its price is much cheaper than the above tools. Read our honest review of Filmora Video Editor here! See how it works from this very nice tutorial video. How about Removing Green Screen Background in Free Video Editors? There are some perfect free video editors you can use to remove green screen background from your video. Take a look at this article we wrote couple weeks ago. Consider the ease of use and the quality of the video, I suggest you try ActivePresenter to remove green screen background from your video if you don’t want to spend your money with above mentioned paid programs. This free video editor is the most simple to use program we found on the market now. 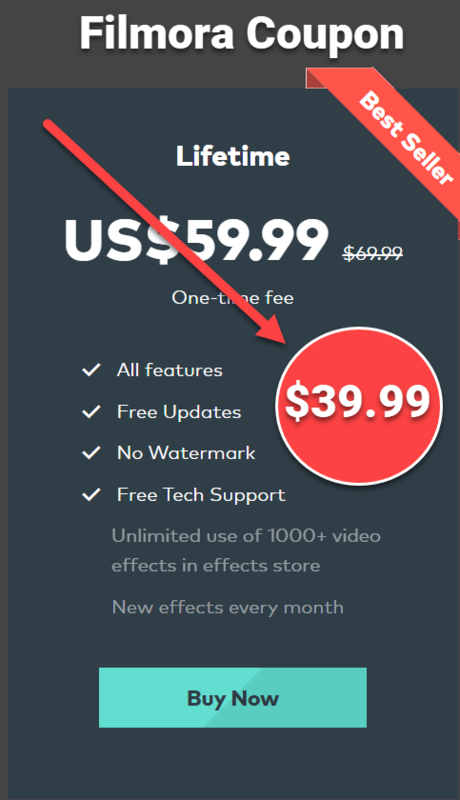 It is completely free without watermark or feature limitation. Read our detail review of ActivePresenter here! If you want to remove completely all the green color from your video, don’t forget to use correct background along with a correct green screen program. If you need any further help, don’t hesitate to contact us. We’re hear to help! If you like our post, please share it with your friends on your social channels. Don’t forget to follow us to receive more valuable post notifications in the future. Read also: The Best Green Screen Software For Windows/ Mac!